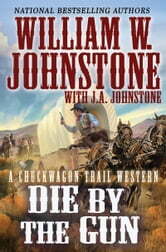 In this thrilling frontier saga, bestselling authors William W. Johnstone and J.A. 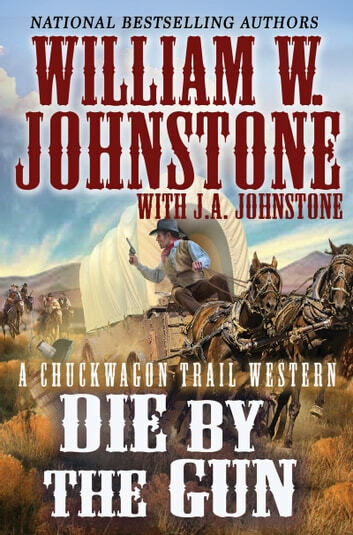 Johnstone celebrate an unsung hero of the American West: a humble chuckwagon cook searching for justice—and fighting for his life . . .
Dewey “Mac” McKenzie is wanted for a killing he didn’t commit. He saved his hide once by signing on as a cattle drive chuckwagon cook and bolting the territories. Turned out Mac was as good at fixing vittles as he was at dodging bullets. But Mac’s enemies are hungry for more—and they’ve hired a gang of ruthless killers to turn up the heat . . .
Mac’s only hope is to join another cattle drive on the Goodnight-Loving Trail, deep in New Mexico Territory. The journey ahead is even deadlier than the hired guns behind him. His trail boss is an ornery cuss. His crew mate is the owner’s spoiled son. And the route is overrun with kill-crazy rustlers and bloodthirsty Comanche. Worse, Mac’s would-be killers are closing in fast. But when the cattle owner’s son is kidnapped, the courageous young cook has no choice but to jump out of the frying pan—and into the fire . . .